Singing with heart-full expression, one song at a time. 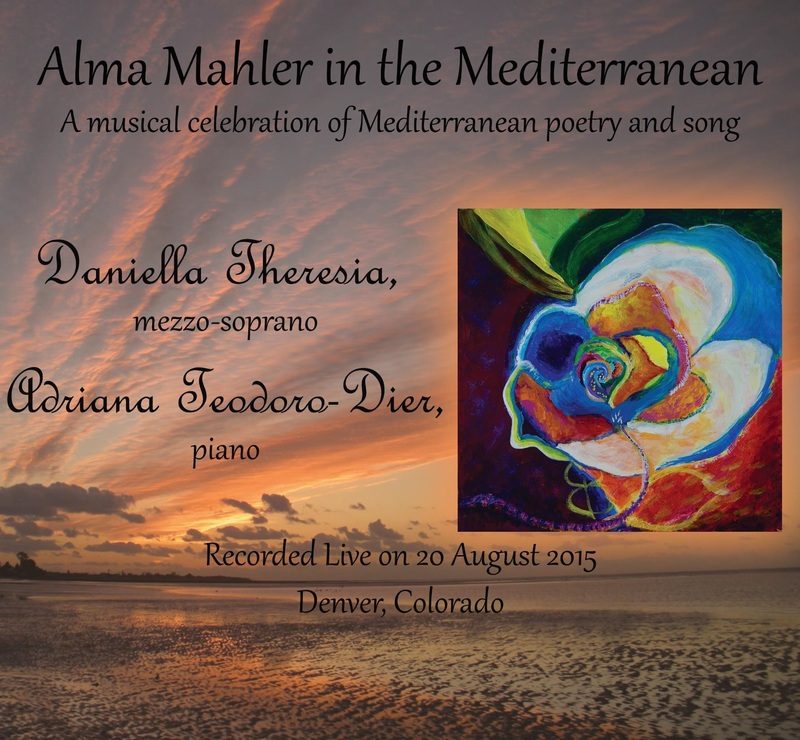 "Alma Mahler in the Mediterranean" is a labor of love from start to finish. From the musical selections to the original artwork and photography on the cover, this was a total collaboration with my sister Adriana Teodoro-Dier, pianist. The CD features musical works inspired by the languages and cultures from the Mediterranean, including works by Ravel, Tchaikovsky, Gershwin, Schumann, Wolf, and of course, Alma Mahler-Werfel. Included on this disc with special permission is Pedro de Alcantara's composition for piano "Transforming Sea." Recorded live at Denver Classic Pianos, U.S.A.
All content belongs to Daniella Theresia Teodoro-Dier, 2019. No part of this website may be duplicated or distributed without her written permission. Blossom Beauty by Blossom Themes. Powered by WordPress .